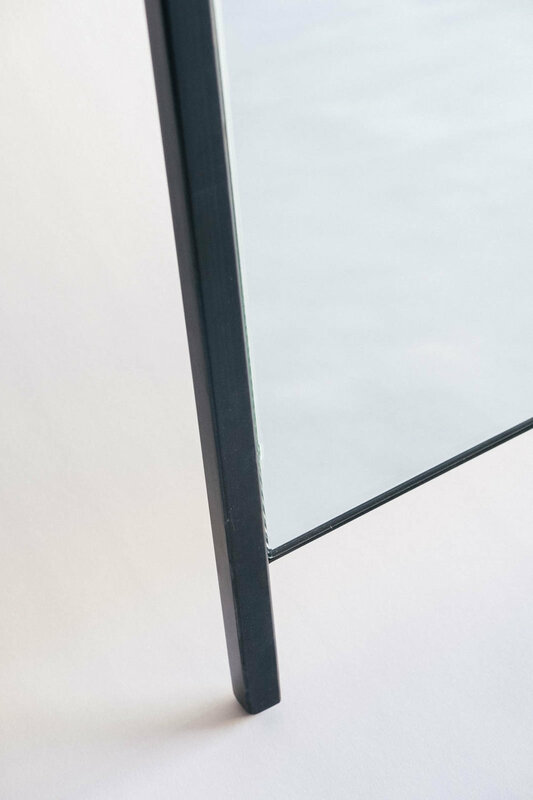 Otomo Floor Mirror — De JONG & Co. The Otomo Floor Mirror is a contemporary design which brings simplicity and movement to what is normally a large and static bedroom necessity. Minimal in design yet conceived to be a geometric, almost Futurist positioning of a contrapposto figure waiting to mirror a more human model. 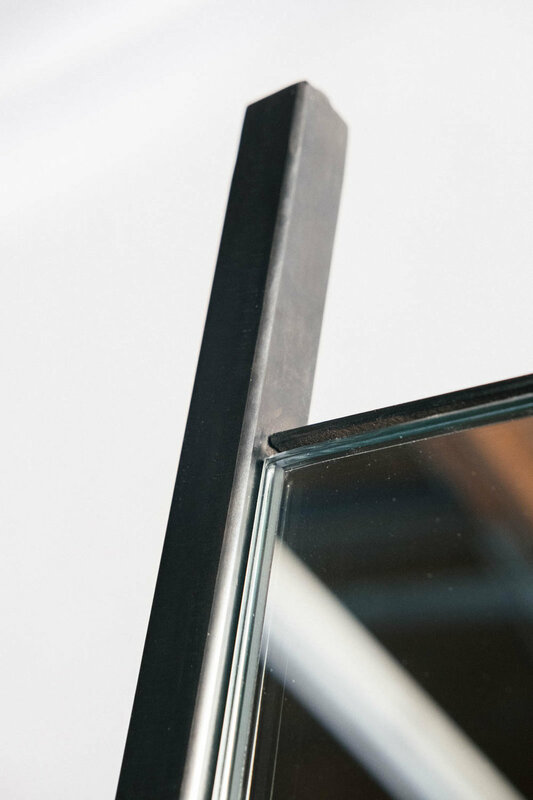 A walnut back hides behind a handcrafted patina on its blackened steel frame and a custom cut floating glass front combine for a contemporary look and feel. Truly a mirror worth looking at and not just through. Please inquire for custom sizing and finishes.